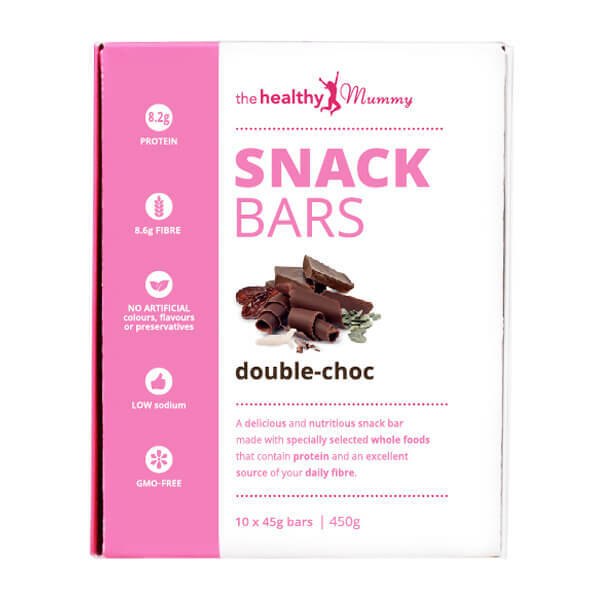 The Healthy Mummy Snack Bars are a delicious and nutritious snack that contains protein and an excellent source of your daily fibre. The snack bars are made with specially selected whole food ingredients and are breastfeeding friendly. The bars are designed as a convenient snack bar that can replace one of your daily snacks. We have x2 delicious snack bar flavours. All of them taste absolutely amazing! The Snack Bars come in a box of 10 snack bars (45g each) and are great protein snack for when you are on the run! The type of saturated fat in the Snack Bars is from Coconut and is Medium Chain Triglycerides (also known as MCT’s). MCT is the main form of fat in coconut making up at least 50% of the total fat content. MCTs are more rapidly absorbed by the body and more quickly metabolised (burned) as fuel. MCTs are very efficiently converted into fuel for immediate use by organs and muscles. MCTs have anti-aging properties such as promoting the development of ketones which is good for the ageing brain. MCTs have been shown to suppress appetite. Finally, a snack bar that is both full of health benefits and chocolatey goodness! Love the fact that this bar contains chicory root, as it will love yourliver at the same time as being a prebiotic and antioxidant! These bars are high in fibre and contain a nice amount of protein, so you feel fuller for longer…And it hits the sweet cravings on the head at the same time. Winning! The bars are made in Australia and ingredients are sourced from local and overseas ingredients. 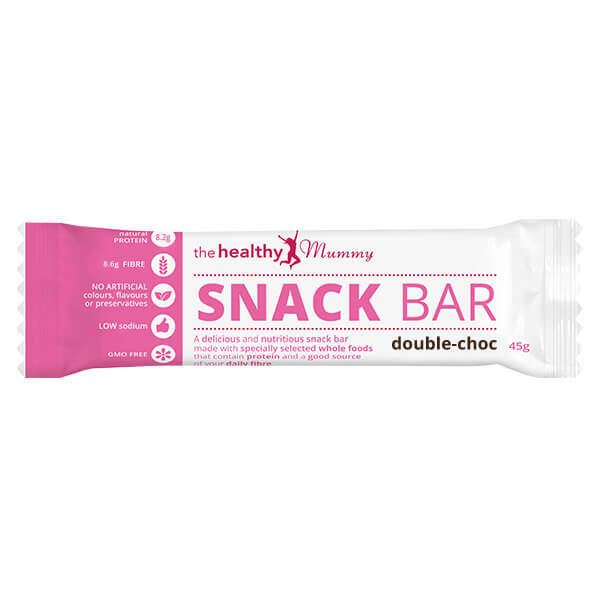 These Healthy Mummy Snack Bars contain dairy, soy and nuts. It does not contain gluten ingredients but has not undergone gluten free testing for us to make the packaging claim. Are the snack bars gluten free? 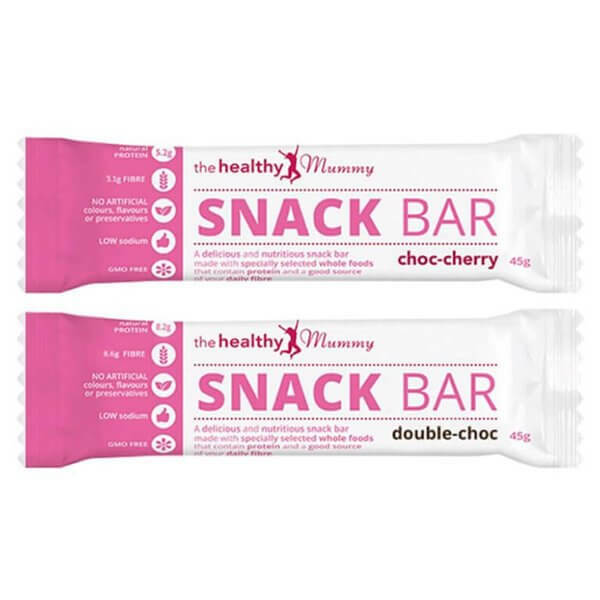 The Healthy Mummy snack bars do not contain any ingredients with gluten, however they may have come into contact with gluten during processing. The products have not undergone testing to show they are gluten free. How many Snack Bars can I eat in one day? 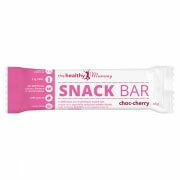 Snack Bars are best consumed as snacks, ideally 1-2 per day is all that is required. Are the Snack Bars suitable for vegetarians / vegans? Tha snack bars are suitable for vegetarians but they are not suitable for vegans. Are the Snack Bars pregnancy friendly? There is 0.1% peppermint oil per serve in the Choc Mint Snack Bars, Peppermint oil is not recommended in pregnancy due to safe dosages not having been determined and therefore we would not recommended Choc-Mint snack bars during pregnancy.